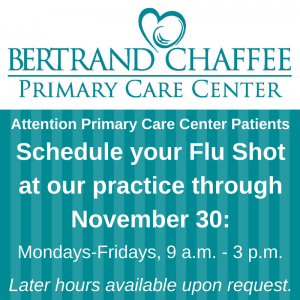 Ongoing through November 30: Bertrand Chaffee Hospital Primary Care Center Flu Clinic. PCC Patients Only. Call for appointments, Mondays through Fridays, 9 a.m. – 3 p.m., later appointments available on request. (716) 592-8140.